The other example is the Mailbox Resources Management Agent. This serves a really useful purpose in that it scans for new mailbox requests that don’t have a database specified (in other words, an administrator wants Exchange to decide in which database the new mailbox will be located). The agent scans for healthy databases in the site where the command is run and then omits any databases that are excluded from automatic mailbox provisioning to create a set that can host the new mailbox. It then selects a database at random and the new mailbox is created there. There’s no great intelligence exhibited in how the choice of database is made and a database that already has 1,000 mailboxes might be chosen as often as a newly-created database that only has a few mailboxes. The Mailbox Resources Management agent also takes care of selecting a suitable database for an archive mailbox, if you decide to separate the primary and archive mailboxes (but only in SP1). More stuff to stuff into the book, if I get to it… Time is marching on, the editors are getting antsy, and the presses must soon start turning. On the other hand, it’s an example of the great kind of content that we can dive into during our three-day seminars in October Exchange 2010 Maestro seminars. 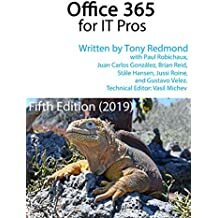 Learn more about the changes made to cmdlets in Exchange 2010 including more detail about cmdlet extension agents in my Exchange Server 2010 Inside Out book. This entry was posted in Exchange 2010 and tagged cmdlet extension agents, Enable-CmdletExtensionAgent, Exchange 2010, Exchange 2010 SP1, Get-CmdletExtensionAgent, Set-CmdletExtensionAgent. Bookmark the permalink.